In this paper, I will be discussing the new role project managers and their team members play when applying Agile methodology to their software development projects. Agile development has typically been classified as a “lightweight” software development approach that encourages quick changes and rapid delivery of solutions. Some of the more popular methodologies include Scrum, Crystal Clear and Extreme Programming. All are designed to have a more inclusive and iterative approach to software development projects. In contrast to the more rigid Waterfall methodology, Agile methodologies encourage a democratization of development that is believed to improve team collaboration and accelerate delivery to customers. Core to an Agile development environment is the shift in power from the project leaders who have traditionally driven projects from start to finish, to the team of developers who are actually designing and building the product. Each team member takes ownership of their piece of the project and is ultimately responsible for its success. The biggest challenge Agile environments face is effectively balancing the productivity of project teams through a self-governing system guided by project facilitators. Agile philosophy asserts that “Projects are built around motivated individuals, who should be trusted”. With diverse resources and unique personalities and motivations, building an effective Agile environment requires a different set of skills project managers are typically not accustomed to. More than anything, Agile methodologies demand “project managers” with a keen sense of what makes their particular team tick ensuring the “job” gets done within a very flat organizational structure. Project leaders in successful Agile environments are effective in facilitating the people behind the processes that drive projects. 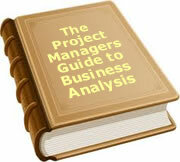 In the final analysis, although the Agile methodology assumes a looser structure to its project management practices. It also allows for a better distribution of power and responsibility that can strengthen the chances for success. Moreover, this holistic approach challenges traditional methodologies on their effectiveness in stakeholder accountability. Regardless of which project management methodology is chosen, all project managers’ would agree that having a better handle on stakeholders can only positively impact a project’s outcome. In an effort to enable companies to focus on the business value using short development cycles in their application development projects, Genius Project supports Agile and SCRUM methodologies by providing a variety of Agile and SCRUM specific tools and views that tie into an organization’s project management processes. To date, 4 people have rated this article. The average rating is 4.50 - Add your rating. Just select a rating and click the button. No other information required.